I have been carrying and using firearms for over three decades now. Thanks to my time in law enforcement, with uniformed, investigations, SWAT and federal task force positions, and as a trainer, I’ve done just about everything short of hold a straight-up admin position. Before retiring as a lieutenant, I spent my last 10 years on or in charge of the SWAT team and firearms training unit. Work that long and you notice immense changes. This is especially in the world of firearms and training. One of the areas still evolving is light use. Every time I help train a class at Gunsite Academy, I see newer and better flashlights being used. Why? As we all know, the ability to see and identify anything we encounter is critical. For law enforcement, flashlights are important tools for building searches, vehicle stops and other common tasks at night. But, while the tactics and equipment keep changing, we’re often bogged down with arguments concerning small details. One such discussion focuses on the magical and mystical lumen. Any discussion about light turns to lumens, a measurement of the total amount of visible light the human eye can detect from a given light source. Not necessarily usable light — just how much the eye can detect. And when it comes to the firearms world, it is mostly a measuring tool co-opted as a means to sell flashlights. Lumens are important, but how that light is focused or dispersed is more critical. Is the beam broad, focused or something in between? Does it pierce through darkness, dust or fog or just reflect back at you? Instead, you’ll hear never-ending arguments about how many lumens you “need” for a given task and how they work. Over the years I have taped lights to my rifle, cleared the tower at Thunder Ranch with just a keychain LED and reveled at how “bright” an 80-lumen flashlight can be. After thousands of hours of real-world use, my conclusion is simple: the more lumens the better. I have never cleared a building or car and complained that I had too much light. Nor have I aimed a rifle at a suspect in a dark room or on a street corner and complained that it was too bright. Ever have someone shine a light at you? Just throw more light back at them! If someone shines a 300-lumen light at your face, throw 1,000 back at them and it’ll drive right through them. The bottom line: I want as many lumens as technology can provide. In my experience, any “issues” are operator induced not technology based. After securing SureFire’s new M600DF, someone asked me, “Why would you want a 1,500-lumen light?” My answer: “Because they don’t make a 2,000-lumen light, and whenever they do, I want it!” With that settled, let’s take a look at how those mighty lumens are used, since that is what actually matters. 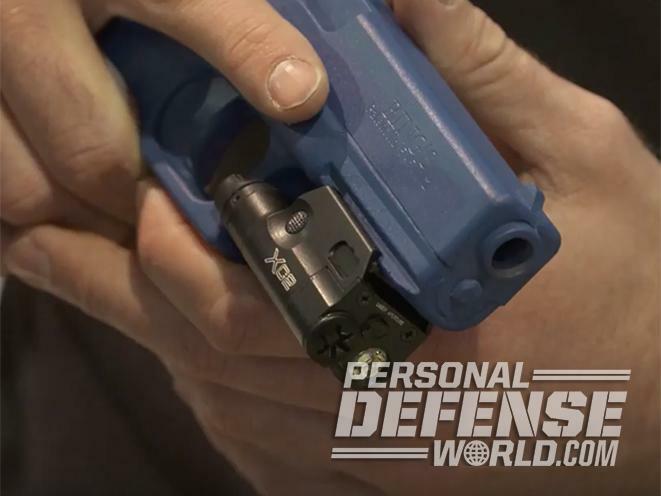 Everything involving firearms is about application — how the gear is designed, what it will do, what you can do with it, where you will likely use it. What works in one situation may be a liability in another. Lights are no exception, whether they’re handheld or mounted on a weapon. It all depends on what you do and where you do it. Companies designed most flashlights to either offer a “flood” of light or a spotlight. There are details about how “bright” it is from the center of the light to the edge, etc., and it’s easy to get lost in the minutiae. But for the most part, the flashlight either illuminates an entire room or focuses on a spot. Focused beams are better at looking through glass, inside vehicles, checking corners in rooms and identifying specific objects. They throw light farther, focusing those lumens in a smaller beam or cone. Broader beams flood the area with light, covering more area with less focused light. They are great for closer quarters where “across the yard” is considered a maximum distance. It means you see more in a room at the peripheries. I really like these for home defense since you want to see as much as you can as quickly as you can. Given a normal room size, a floodlight pretty much turns dark into daytime in an instant, allowing you to see most everything in the room. It’s helpful to see what the differences are in various conditions, so I spent some time testing four of the most powerful SureFire lights: the XH30, XH35, X300 Ultra and M600DF. I started inside, comparing the SureFire XH30, which has a focused beam, and XH35, with its broader beam, at about 10 yards. Both are rated at 1,000 lumens on their highest settings and had fresh batteries installed. Shining into a staircase, I could see the difference in the “cone” of light. The broad beam projects more light to the edges, even up the staircase to the second floor. It’s not as bright, but you can see more of what’s around you. With the focused beam, the circle is tighter and you can see with more definition. Next, I moved to a corner with a heavy bag, and the results were the same. In short, the XH35 tends to send more white light to the edges of the cone, just not as deep. Mounted to a home-defense or dedicated entry weapon, my preference would be the XH35. In fact, I mounted the XH35 on a SIG Sauer MPX during some CQB training and was pleased with its performance. Now traffic stops are some of the most dangerous events a police officer encounters. Being able to see is critical. 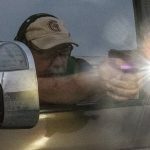 To test the XH30 and XH35 in such a scenario, I placed an S&W M&P9 Shield on the dashboard of my truck, then backed away and used both flashlights to see how well I could identify it from a distance. Using the focused beam of the XH30, I started to see the reflection on the back of the slide from a few yards away. With the XH35’s broad beam, especially depending on where it was pointed, you could almost lose the pistol. You can see more around the car, but not the gun. Enter the 1,500-lumen M600DF — the real winner here. Not only is this flashlight brighter, but I could see the pistol even more clearly. The difference was more significant when I backed up, too. Next I set the M&P9 Shield on one of my range’s walls and backed up about 25 yards. Using the XH35, you probably couldn’t see the gun unless you knew where to look. Lots of light around the area, but not enough on the weapon. Moving to the focused beam of the XH30 was markedly better; I could actually see the pistol. Then again, with the M600DF, it’s literally night and day, with bright white light allowing me to clearly see the pistol. I could identify it as a Shield, not just a generic pistol. This was the case even at 50 yards. Finally, I looked at my range office from about 110 yards, and I could see quite a bit, even into the windows, with the M600DF. The 1,000-lumen XH30 worked — I could still see the building, but not as well. I couldn’t see much at all with the XH35. I mounted all three on a tripod and pointed to exactly the same spot, providing a true comparison. The test was less about what company’s lights you choose and more about what those lights do. 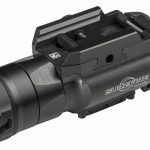 SureFire just offers a nice line of 1,000-plus-lumen lights, making for a good comparison. Other brands may be different, but the overall effect is the same. 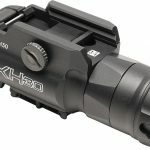 Both the XH30 and XH35 can be switched from 300 to 1,000 lumens. There is also a strobe function, but that will get us into a whole other discussion. 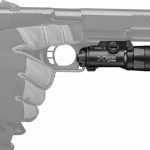 For a dedicated pistol-mounted light, I turn to SureFire’s latest X300 Ultra, which offers 1,000 lumens with a focused beam. It fits existing holsters designed for the X300, and is one of the most prolific pistol lights on the market today. 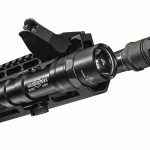 SureFire’s M600DF may be the best carbine light available right now. Using the rechargeable battery gets you the full 1,500 lumens while standard CR123s will net you 1,200. And the light allows you to see at distances unheard of before, all in a durable, easy-to-mount Scout housing. In other words, I’m keeping this one on my favorite carbine until SureFire comes out with a 2,000-lumen model. No matter what you use, do yourself a favor and test it in the real world. Never believe what you read on the box or hear from the couch commandoes of the world. The last place where you want to find out that your gear isn’t good enough is in a fight. So, get out there and train with whatever you are using and choose the beam that best meets your needs. 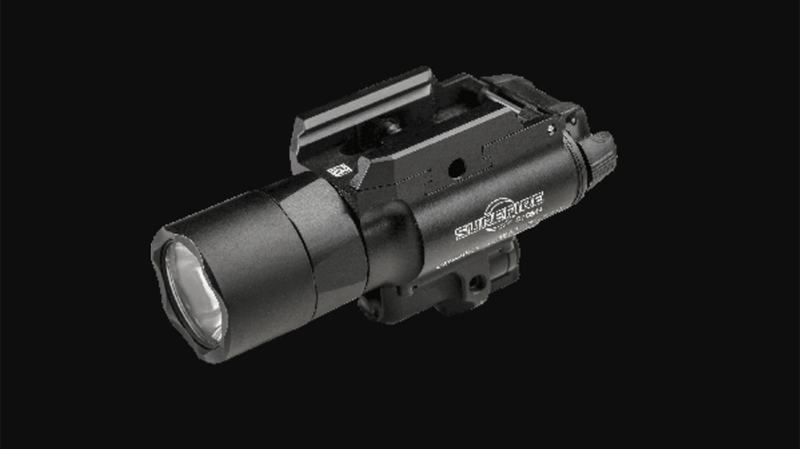 For more information about SureFire lights, please visit surefire.com. The post Which of These 4 SureFire Lights Gives You the Most Bang for Your Buck? appeared first on Personal Defense World.